Students must complete the Core and Electives. All Computer Science general requirements must also be met. CSC40X - Computer Science Practicum courses must be done at the same time as their host course. 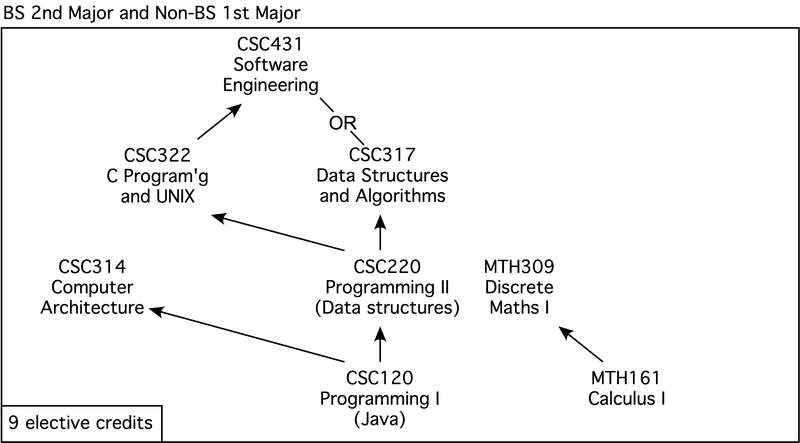 Maximally 6 credits from CSC481 - Undergraduate Teaching Assistant in Computer Science. Other courses can be approved as electives on request.